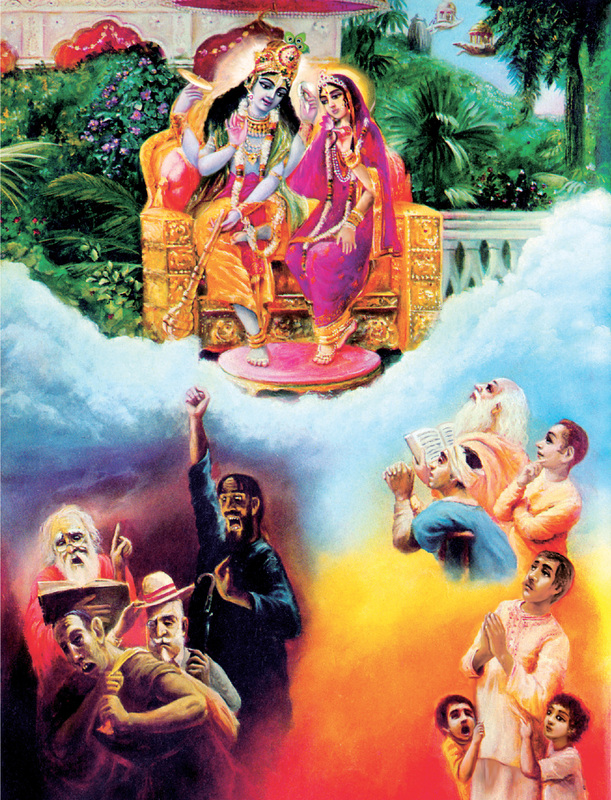 Bhagavad Gita Art Gallery--Plate 26: Four kinds of poius men surrender to Krishna, and four kinds of impious men do not..
Four kinds of poius men surrender to Krishna, and four kinds of impious men do not. PREVIOUS Bhagavad-gita 7.15-16 At the top Laksmi-Narayana are shown in the Lord's transcendental abode. Below are four kinds of miscreants who do not surrender to God and four kinds of pious men who turn to Him in devotional service.